First, we made the mistake of flying to Coimbatore and not Cochin. 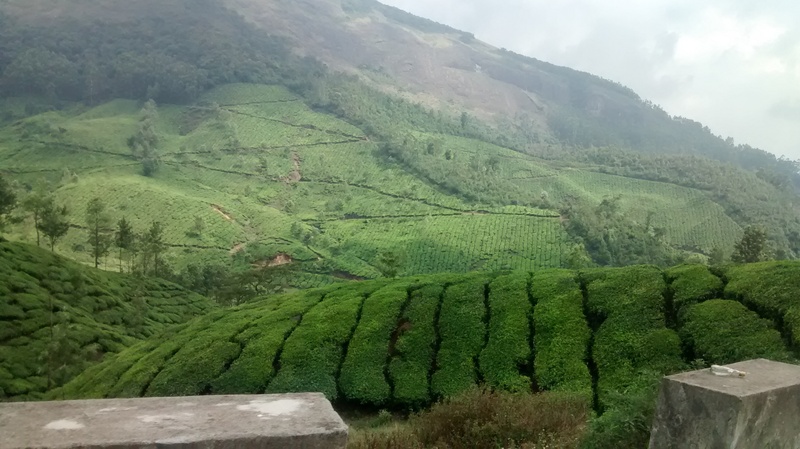 I say this because, while Munnar was a 5-hour drive, Ragamaya was another 1 hour 15 mins away. So it took us 6 hours 15 mins to reach the place. With breaks it comes to nearly 7 hours. 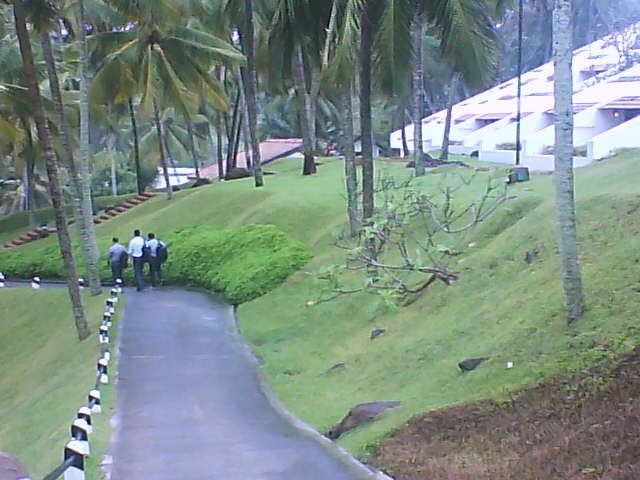 From Cochin the resort is just a 3.5 hour drive. So if you plan to go, don’t make the same mistake 🙂 Secondly, when you think of Munnar you visualize tea gardens and bunglows right? 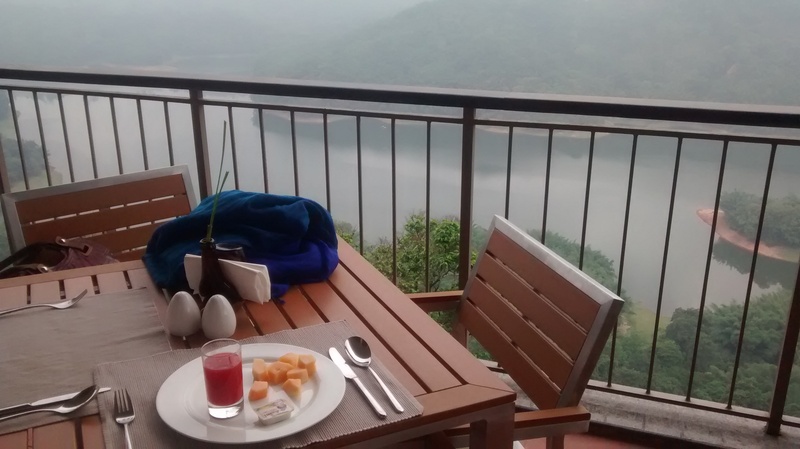 This resort is not in Munnar in the literal sense. 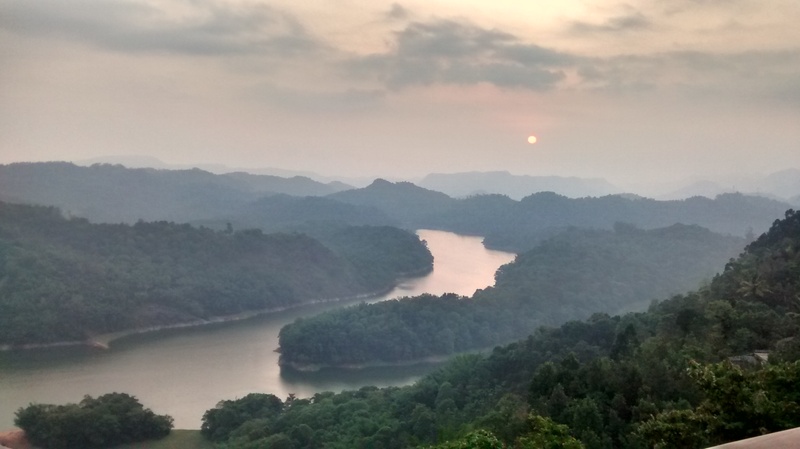 It is in a place called Rajakkad, Idukki. 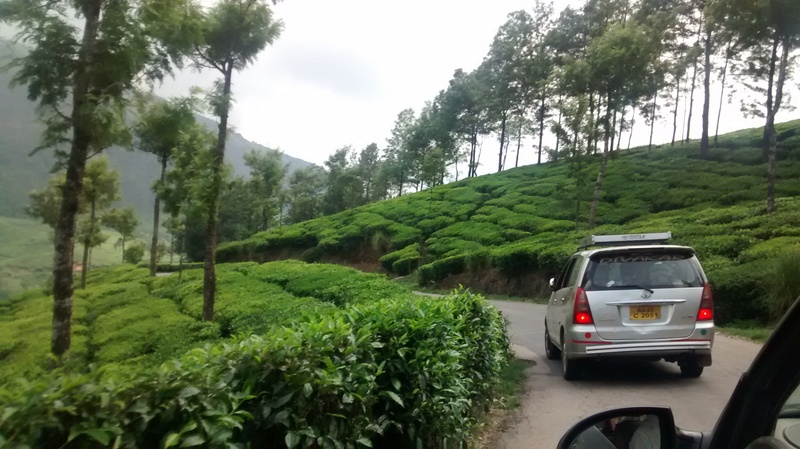 So if you want to be around tea gardens Ragamaya is not the right choice. Thirdly, there are very few signboards for the resort when you drive from Munnar. We saw a signboard only in the last 5 kms. Rest of the way was shown by Google maps. And the last mile is a muddy road which makes you wonder if you are going the right way 🙂 Not the best feeling if you have been driving for 7 hours! But stay patient…. …because once you reach Ragamaya the fatigue and anxiety just vanishes. 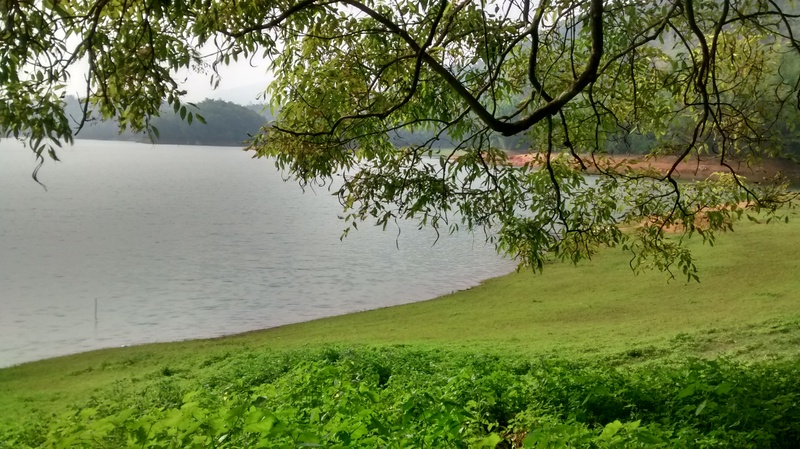 Forget the tea gardens… this resort has the most stunning view of the Ponmudi Lake and the thick western ghats rain forests. Every room faces this picturesque set up and you feel relaxed and at ease almost instantly. We had booked the Raga Premier room which was contemporary, spacious and minimalist. The large balcony is where you will spend 70% of your time – I can guarantee it! Once you digest the majestic view, there are some cool activities to explore. You can go boating, fishing, trekking (night and day), cycling, shopping etc. We took a jeep ride to the lake for boating and fishing and boy was it adventurous! There is no proper road to the lake, so the 4X4 just makes its way with the help of pure engineering muscle. It is one bumpy ride but so worth it! You must try it! The staff is very courteous and enthusiastic. Typical of Kerala 🙂 Even the spa was surprisingly good. For a young property (5 months old) , Ragamaya fared very well on most fronts. 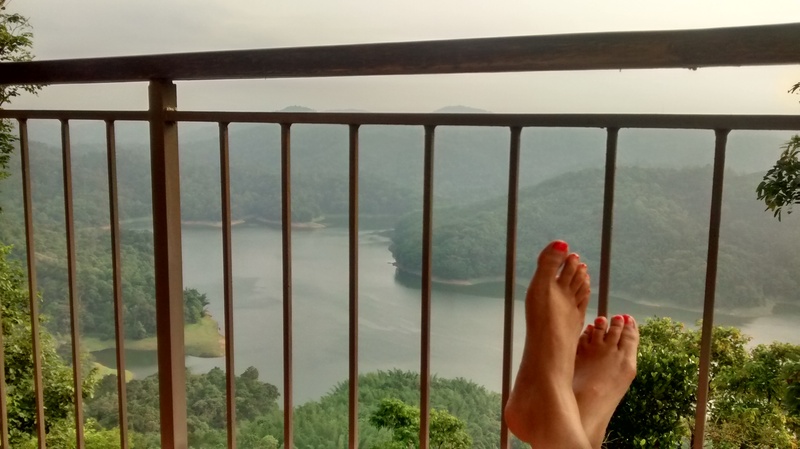 My verdict: Ragamaya Resort is quite a find. Secluded, adventurous and unique is how I would describe it. 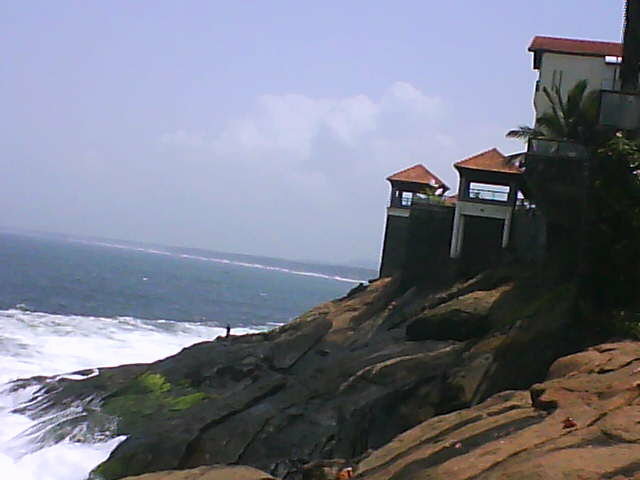 I have been to Kovalam several times and each time I got to stay at a different property. The place has such varied choice of hotels and resorts, it just demands experimentation from the traveller who returns. From the moment you land at the Trivandrum airport, you are bombared with hoardings of all the wonderful properties waiting to welcome you with chilled coconut water! 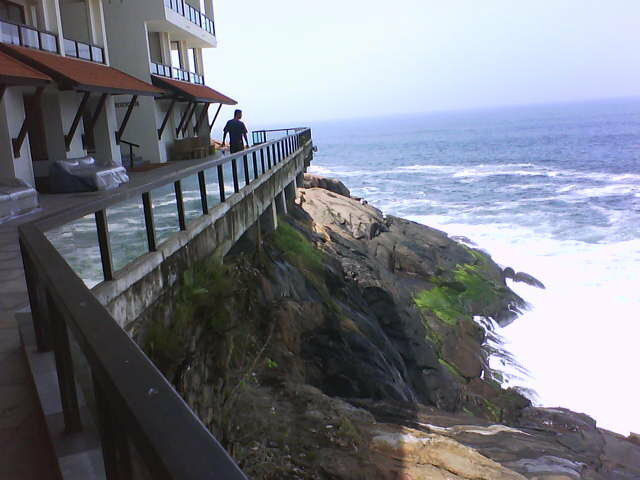 The first time I went to Kovalam was way back in 2002, on a college trip. It was a pit stop to our 10 day trip to Sri Lanka. We flew from Trivandrum to Colombo after exploring the former for 2 days. To be honest, I dont remember where we had put up back then 🙂 so I shall not review my first experience in this wonderful beach destination. But I do remember that the sunsets were as beautiful and the sea was as commanding as it is today! 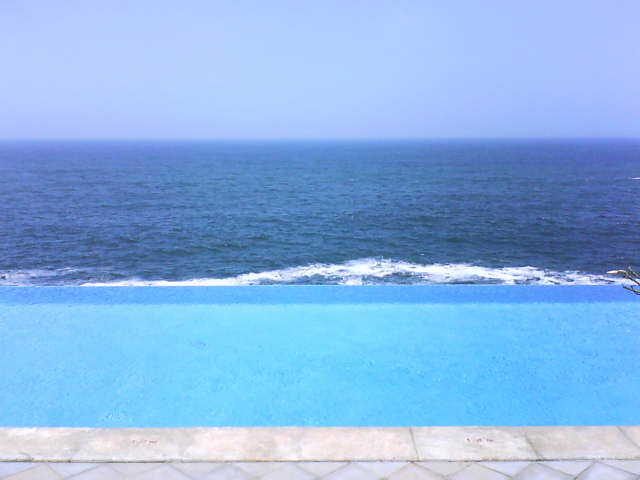 My second trip to Kovalam was an official one. We were taken to the Taj Kovalam for a team bonding exercise. And man did we bond! Not with each other but with the hotel guys. They were simply great! I shall review that property in detail in my next update. 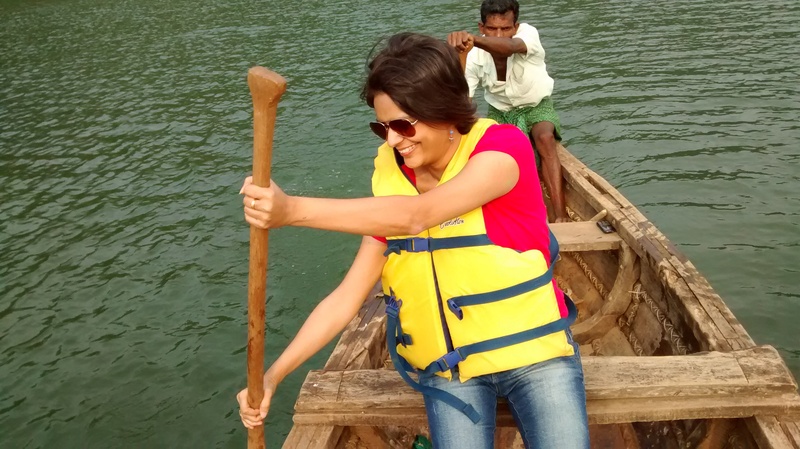 Today I shall talk about my 3rd trip to this popular tourist spot in Kerala. Again it was an official trip, made one year after the 2nd. I had changed divisions at work and ironically the new team also wanted to bond in Kovalam. hehehe.. 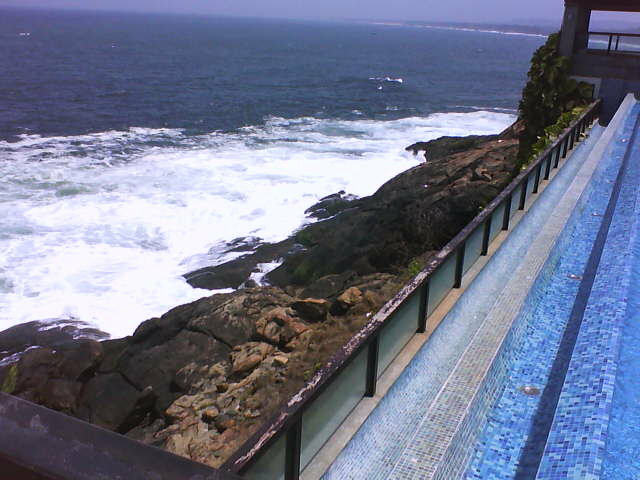 So, The Leela Kovalam was booked! So, we arrived at the property after a 30minute drive from the airport and were directed towards the main lobby. 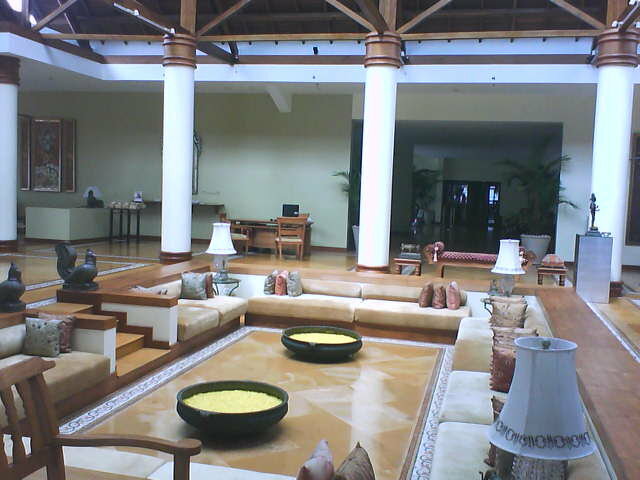 The massive quadrangle of the resort just engulfs you and takes you to a very relaxed place almost instantly. As you explore the property, you begin to get convinced that perhaps this is the best an architect can do to take advantage of a brilliant location! I have honestly not been to a more dramatic property in India- location-wise. Every inch of the cliff which the property is on has been used to perfection to provide way too many jaw-dropping moments for guests. The hotel is huge and has rooms spread across sections. We were put up near the private beach, in the Garden Pavilion rooms. These are brightly lit, spacious rooms facing the beach. However, I would recommend you ask for the room closest to the water. Then there are the beach view superior rooms. I would not recommend these at all. These rooms are on the cliff but kinda in no man’s land. By that I mean, these rooms are neither close to the beach, nor next to the edge of the cliff like the club rooms. If you have the money, go for the club rooms! 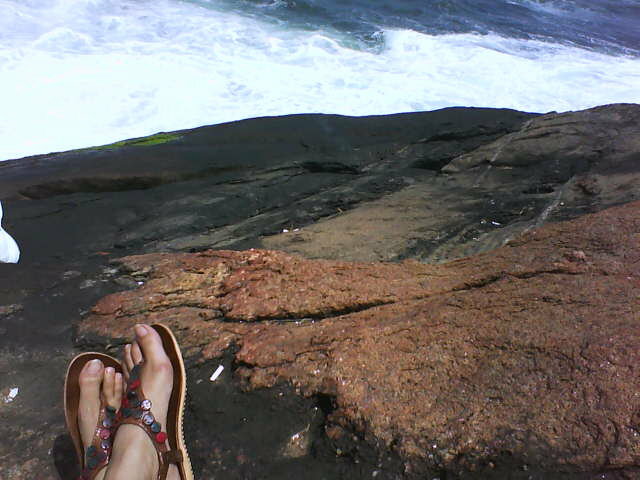 These face the edge of the cliff and have a view of sea water gushing in at full force all day long! The infinity swimming pool of the club section is very trippy! After Rayavadee, Krabi, this resort perhaps has one of the coolest swimming pools I have ever seen. Now for the not so good part about the property which completely changed my mind about returning to it! Architecture and interiors make the first impression, but it is the people that make the last. And The Leela Kovalam failed miserably in this department. There was a very apparent difference in treatment given to Indian guests versus the foreigners!! I was totally appalled by this, considering we were in India and paying as much as any other guest. The staff was rude and disinterested in the Indian guests and gave clear preference to foreigners. We were literally left to serve ourselves at a premier property like this. Just to give you an instance: Four of us were having lunch, and we asked for some bread at the table. The waiter came with a basket full of 4-5 rotis and naans and started serving each one of us. One of my colleagues suggested he leave the basket on the table and let each one of us serve ourselves. The guy replied, “Are you telling me you will finish all the rotis in this basket??”. This is when an argument brewed. Now, this is something that is totally unacceptable according to me! And takes away from all the hard work done by the architects and designers of this magnificent property. Nobody on a holiday likes to be questioned on his or her choices, least of all for a basket full of bread. 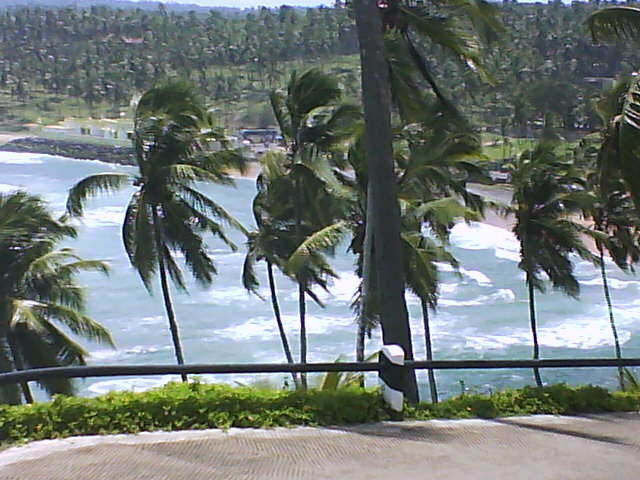 That too by a staff member at the property chosen by the guest out of the many available in a place like Kovalam. A second incident was when five of us we were by the beach sipping margaritas along with our Vice President. Being the head of the business, he was put up at the club room while we were staying at the garden pavilion. Once done, we called for the bill and when it arrived, our VP gave his room number. The waiter refused to believe that we were billing the right room. He kept saying “But that is a club room. Are you sure the number is right?”. It was quite insulting to be honest. And our VP, who rarely loses his temper, got totally exasperated and demanded that the waiter not question us anymore. We had many such altercations with the management in our 2-day stay and it really left all of us very disappointed. Before leaving the resort, I gave them a simple feedback saying “This is certainly not the essence of india”. My Verdict: The website does justice to the location and property but says little about the partial treatment given to foreign guests. My Rating: 2/5 simply because I shall never return to a resort which doesn’t want me there.